Jerry Gonzalez is the founding and current Executive Director of Georgia Association of Latino Elected Officials (GALEO) and the GALEO Latino Community Development Fund (GLCDF). GALEO was founded in 2003 and is a 501(c)(6) statewide nonprofit and non-partisan organization; its mission is to increase civic engagement and leadership development of the Latino/Hispanic community across Georgia. The GALEO Latino Community Development Fund is a 501(c)(3) nonprofit organization affiliated with GALEO. 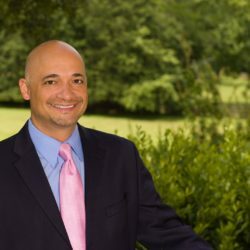 At GALEO, Gonzalez has utilized not only his extensive political experience but also his deep understanding of the struggles of the Latino community in Georgia. During his tenure with GALEO, the GALEO Institute for Leadership (GIL) program has become a flagship leadership development for the Latino and immigrant community in Georgia, equipping more than 600 community members with skills to serve their communities. The GALEO Leadership Council, Spanish-Language Leadership Series, and the Latino Leaders Summit are also integral to GALEO’s leadership, empowerment and networking activities. Through GALEO’s voter engagement efforts, the Georgia Latino electorate has grown to well over 240,000 from a mere 10,000 in 2003, and Latino voter participation rates in most jurisdictions in Georgia during the 2016 election out-performed national Latino voter participation rates. In 2015, citing the federal Voting Rights Act Section 203, Gonzalez and LatinoJustice spearheaded the successful effort to make Spanish-language materials available to voters in Gwinnett County. In 2015, GALEO LCDF was honored by the Sapelo Foundation with the prestigious Smith Bagley Award, for its continued success and exemplary work with the community. Gonzalez is a native of Laredo, Texas, and received his B.S. in Mechanical Engineering from Texas A&M University in 1995. He completed his Master of Public Administration with a Nonprofit Administration emphasis at the Andrew Young School of Public Policy at Georgia State University in 2005. In 1996, Gonzalez moved to Atlanta for a job as Field Support Engineer for Rockwell Automation. After transitioning into the nonprofit arena in 2002, Gonzalez worked with the Mexican American Legal Defense and Educational Fund (MALDEF) as a Legislative Policy Analyst, focusing upon immigrants’ rights issues at the Georgia General Assembly and in several local jurisdictions across the Southeast. Due to his efforts at GALEO, Mr. Gonzalez has been recognized by Georgia Trend Magazine as one of Georgia’s 100 Most Influential Georgians for several years, and serves as a trustee and member on foundation and advisory boards, along with many other honors and awards. In 2017, he was selected to participate in the Rockwood Institute’s ‘National Leading from the Inside Out (LIO) Yearlong Fellows’ executive leadership program. When not traveling throughout Georgia speaking at town hall meetings and advocating for education, civic engagement and fair immigration policies, Gonzalez lives in Atlanta with his husband of over 23 years, Ray, an established and practicing pediatrician, and their dogs, Jenny & Zack. Jerry’s hobbies include photography, travel, hiking and considers himself an avid road cyclist. 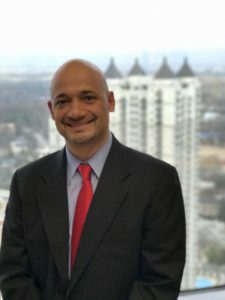 Short BIO: Jerry Gonzalez is the founding and current Executive Director of the Georgia Association of Latino Elected Officials (GALEO) and the GALEO Latino Community Development Fund. GALEO, a statewide nonprofit and non-partisan organization, has a mission to increase civic engagement and leadership development of the Latino community across Georgia. Gonzalez is a native of Laredo, Texas and received his B.S. in Mechanical Engineering from Texas A&M University in 1995. He completed his Master of Public Administration at the Andrew Young School of Public Policy at Georgia State University in 2005. Due to his efforts at GALEO, Mr. Gonzalez has been recognized by Georgia Trend Magazine as one of Georgia’s 100 Most Influential Georgians for several years. Gonzalez lives in Atlanta with his husband of over 23 years, Ray, an established and practicing pediatrician, and their dogs, Jenny & Zack. Jerry’s hobbies include photography, travel, hiking, and he considers himself an avid road cyclist. Georgia Trend Magazine, ‘100 Most Influential Georgians’ (2007, 2008, 2012, 2016, 2017, 2018, 2019). Trustee for the Mary Reynolds Babcock Foundation (2013-Present), Secretary (2018), Vice Chair (2019-present). Rockwood Institute’s ‘National Leading from the Inside Out (LIO) Yearlong Fellows’ executive leadership program, participant (2017-2018). Georgia Trend Magazine, ‘100 Most Influential Georgians’ (2007, 2008, 2012, 2016, 2017, 2018). Grand Marshal for the Atlanta Gay Pride Parade, Grand Marshall (2017). Top 10 Fundraiser for AIDS Vaccine 200-mile bicycle ride. Jerry and his husband, Ray, raised a combined total of over $24,000 in 2017. In two years, the couple raised $59,000 for AIDS vaccine research, a record amount for the AV200. ‘One of Georgia’s Notables’, Georgia Trend Magazine (2009, 2014, 2015). ‘Personajes Destacados del Ano’ (Person of the Year) by Mundo Hispanico (2014). ‘Caribbean American Movers & Shakers’ Award (2014). Appointed as Chairman to the Georgia State Advisory Committee to the U.S. Commission on Civil Rights (2013-present). Lanza Group, Hispanic Achievement & Business Leadership ‘Unsung Hero’ Award (2012). Georgia Equality, ‘Allen Thornell Political Advancement Award’ (2012). Invited to the White House by President Obama and First Lady Michelle Obama for a Holiday Reception (2011). Named to the Georgia State Advisory Committee to the U.S. Commission on Civil Rights (2011-present). National Society of Hispanic MBA’s, Atlanta Chapter, ‘Hispanic 4 Under 40’ inaugural award for outstanding Nonprofit Leadership (2011). Honorary Co-Chair for the 25th Anniversary Sweet Auburn Springfest at the Legends, Heroes & Heroines Awards Luncheon (2009). MALDEF Community Service Award (2009). ‘Project Interchange’, participant on trip to Israel with the American Jewish Committee (2008). Community Board Member, or Trustee, to the Sapelo Foundation (2008-2014).